A lot of people don’t necessarily appreciate insects, mosquitoes, bugs and bees, especially if they are allergic to bites or stings. So it doesn’t sound as bad to us to imagine an insect going extinct, as opposed to a larger animal that would be more obviously missed. Nonetheless, a new study which found that insects are dying at record rates, should alarm us due to the fact that insect extinction would mean catastrophic consequences for ecosystems on Earth, and thus for us. A new study published in the journal Biological Conservation proposes that the fact insects are dying at record rates could be a huge threat which could result in a “catastrophic collapse of Earth’s ecosystems.” The study takes a look at 73 historical reports which have hinted at the death of insects around the world, finding that the mass of all insects on Earth is declining by 2.5% per year. If this decline continues into the future, Earth would not have any insects left 100 years from now. “In 10 years you will have a quarter less, in 50 years only half left and in 100 years you will have none,” Francisco Sanchez-Bayo, a study co-author and researcher at the University of Sydney, told The Guardian. If insects continue dying, it would create major problems for life around the world, because insects are some of the main food sources for many animals including birds, fish, reptiles and some mammal species. 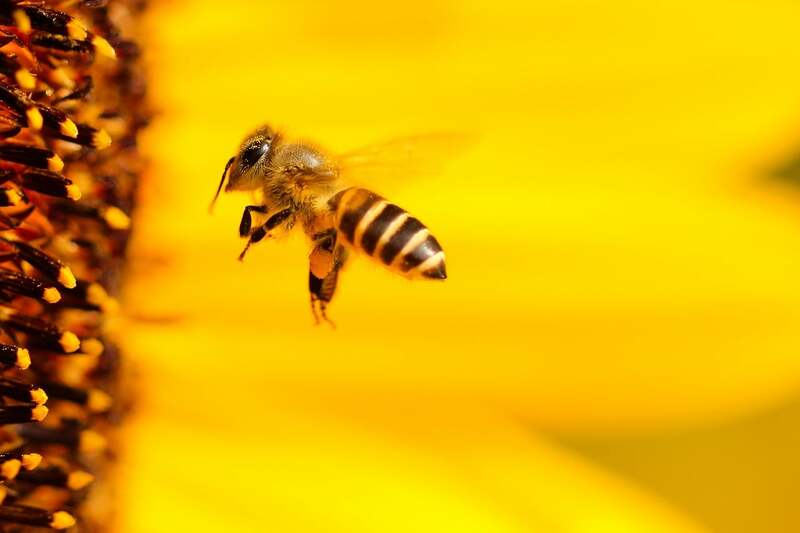 More importantly, pollinators like bees and wasps, as well as butterflies, pollinate flowers, ensuring that fruits, vegetables and nuts are produced. The research is focused on insects found in Europe and North American. They found that there are 41% of insects that are in decline, while 31% of insect species have encountered threatening declination, according to the numbers set by the International Union for Conservation of Nature. What’s even scarier is that when observed, the insects are dying at record rates, eight times faster compared to the extinction pace of other animals like mammals, birds and reptiles. Scientists found that moths and butterflies are disappearing across Europe and the U.S., with 58% of butterfly species disappearing in the UK farmed land between 2000 and 2009. Scientists at times refer to the rapid decline in animals around the world as the “sixth extinction,” because if it came to a mass extinction event on Earth, it would be for the sixth time through the history of the planet of the fauna nearly disappearing. While previous mass extinctions were associated with natural disasters, the exchange between tropical weather and ice age, or asteroid collisions, this will be the first time it will be caused by human activities like pesticides, deforestation, and mining, as well as global warming caused by increased carbon-dioxide emissions into Earth’s atmosphere. Now that insects are dying at record rates, it would be the right time to start caring for our planet and life on it.